Want to fast track into the backcountry? 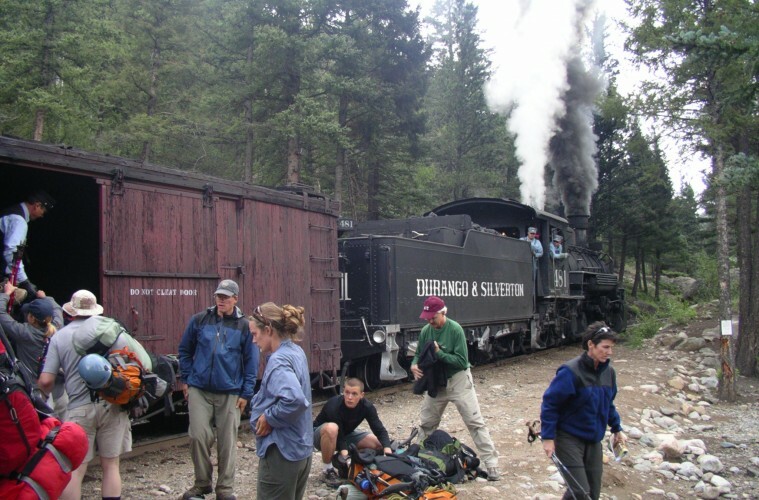 Catch a ride on the Durango & Silverton Narrow Gauge Railroad, which has two stops along the edge of the Weminuche Wilderness. 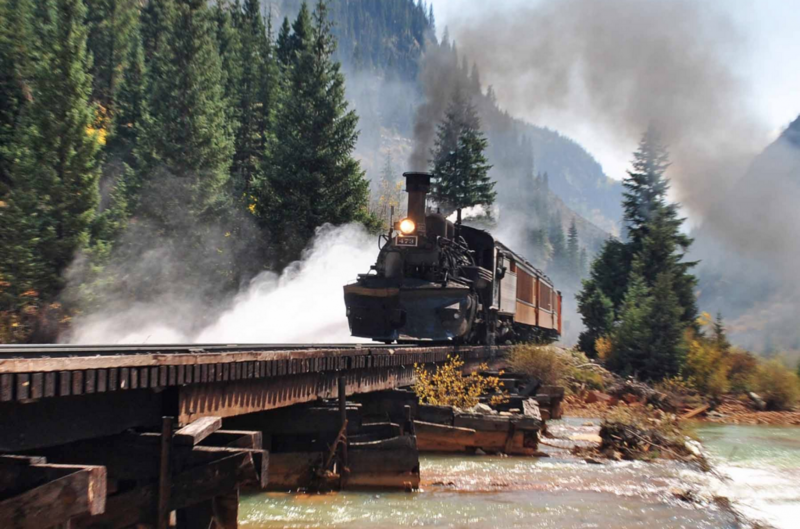 Take in the views as the historic coal-fired train chugs along a narrow ledge overlooking the Animas River. When the whistle blows, hop off at Needleton and head for the hills. Here the rugged Needle Mountains thrust skyward, topping out on Mount Eolus, Sunlight Peak, and Windom Peak—each just a hair over 14,000 feet. From Needleton, it’s a half-mile walk to the trailhead, then a steady six-mile grunt up 3,000 feet to Chicago Basin. Set up camp and wake early so you bust out all three fourteeners in one shot (solid hiking and climbing skills recommended). Or simply chillax in the basin or hike to Twin Lakes. You’ll see lots of mountain goats, which can be pesky in their quest for your pee (they’re after the salt). May–October, one train a day stops at Needleton, one hour 20 minutes from Durango. Reservations recommended. $91, plus $10 per backpack.